One of SPHEREx’s main goals will be to determine the distance from Earth to 300 million galaxies and map out their 3D structure. By looking at over-densities and under-densities in their large-scale distribution, the mission might be able to tease out tiny effects from a hypothesized period in the early universe known as inflation, when the universe expanded exponentially in size in the moments after the big bang. Primordial quantum mechanical fluctuations from the newborn universe, boosted by inflation, left ripples on the cosmic microwave background, the most distant light that telescopes can see. Similarly, inflation could have generated a signature on galactic distribution that would give researchers clues about its details. Some theories posit that the energy for inflation came from a field with an associated particle known as an inflaton. SPHEREx will also gather information about the total light emitted by galaxies, giving insights into an under-studied era known as reionization, when the first stars began lighting up the universe and heating up clouds of hydrogen. Finally, closer to home, the mission will map out the abundance of ices in molecular clouds within the Milky Way. As these clouds collapse, they form stars and planets, though the details of the process are still not well known. In the MIDEX competition, SPHEREx won out over the Arcus satellite, which would have studied galaxies in x-rays to get a better understanding of the supermassive black holes at their centers. 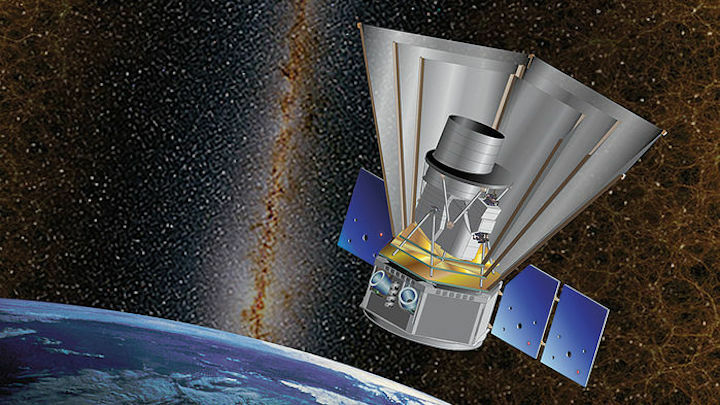 An exoplanet mission, the Fast INfrared Exoplanet Spectroscopy Survey Explorer (FINESSE), was originally another finalist. But NASA asked its designers to instead contribute technology and expertise to a similar observatory in development by the European Space Agency called the Atmospheric Remote-sensing Exoplanet Large-survey (ARIEL). Tim Eifler is an assistant professor of astronomy at the University of Arizona. He will be participating in NASA's upcoming SHPEREx misison. Assistant professor of astronomy Tim Eifler is one of the two University of Arizona astronomy and physics professors who will be working on the National Aeronautics and Space Administration's Spectro-Photometer for the History of the Universe, Epoch of Reionization and Ices Explorer, or SPHEREx, mission. Eifler will be working with UA assistant professor of astronomy and physics Elisabeth Krause. A team at the California Institute of Technology and NASA's Jet Propulsion Laboratory will lead the SPHEREx mission. Daily Wildcat: What will be your role in the SHPEREx mission? 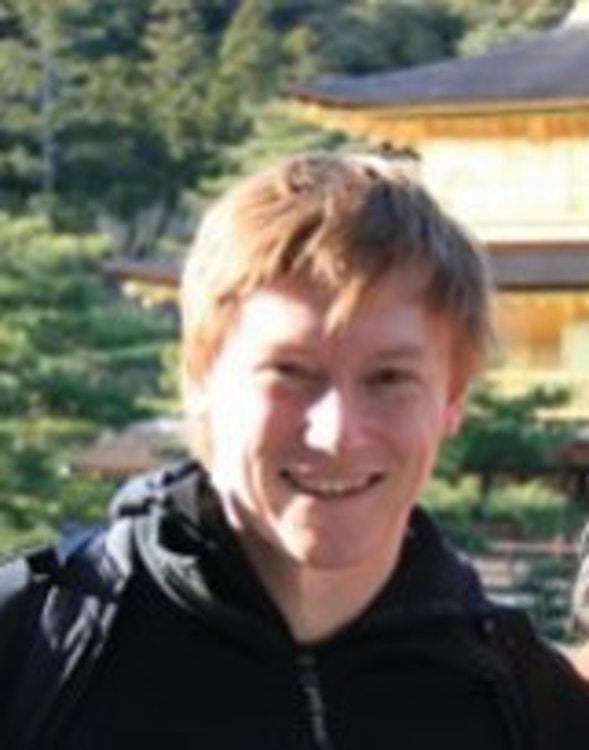 Tim Eifler: I’m in charge of combining SPHEREx with external data sets. SPHEREx is an all-sky survey in the infrared, so it will overlap with a lot of other ongoing surveys, which will cover different wavelengths. DW: What is the process of being selected to work for NASA? TE: The selection process is that you first submit a proposal to NASA and then you have an in-depth Phase A study. Originally it was ordered 15, 20 missions at that phase one study, and three of these missions were chosen. One of these missions was then turned into a science team that joined a European mission that was exactly of the same science story. So now, at the end of the day, it’s just us and ARCUS, which is a data x-ray mission lead out of Massachusetts Institute of Technology and Harvard [University], together with [NASA's] Goddard [Institute for Space Studies at Columbia University]. DW: What are the goals of this mission? TE: There’s three main goals: the origin of the universe, the origin and history of galaxies and the origin of water in planetary systems. With the first one, one of the big questions today is dark energy, but what SPHEREx is going to investigate is the very early phase that’s called inflation. SPHEREx is studying inflation that is at the origin of the universe. Inflation is a time where the universe expands very rapidly, much more rapidly than it is expanding today. Some of the first light we actually see is the cosmic microwave background, and inflation actually happened before that. The mission is very broad, in the sense that it will explain the physics of the universe in very early times and also very locally in our galaxy. It’s going to constrain how much water, where it is – map of all the ice in the galaxy. DW: What information are you expecting to collect from the mission? TE: SPHEREx is an all-sky survey with 96 different bands, which means you see one object in 96 different colors. What filter you put in front of the telescope affects what light comes through it, so SPHEREx has 96 different bands where light comes through. So you see the 300 million galaxies in 96 different colors. That allows you to look for very specific features in these galaxies to understand exactly where they are in redshift and where they are in line-of-sight distance. DW: How long are you expecting this mission to take? TE: Two to three years of observations. But if you look at the history of NASA missions, you’ll see that if they work well, their grant lasts longer. DW: Why do you think it’s important to us to keep exploring space? TE: I think it is important. I know humanity focuses a lot on problems on earth, and rightly so. I rarely see humans being inspired by anything else than space exploration. Secondly, it is enormously beneficial to the economic growth of the world. Fundamental science is something that fuels all the innovation we have. In some cases, fundamental scientific research does not immediately translate into economic gain, but it does in the long term; it’s what propels our society as a whole and what causes these big paradigm shifts. Space exploration is extremely important to inspire humanity and to also make sure that we make these big jumps in our evolution forward.